Object oriented concept lattices and property oriented concept lattices are two kinds of concept lattices and belong to formal concept analysis. In the theory of formal concept analysis, attribute reduction is one of basic problems, it can make the discovery of implicit knowledge in data easier and the representation simpler. Different attributes play different roles in reduction theory. 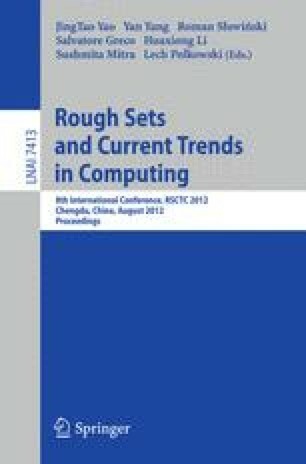 This paper studies the attribute characteristics of object oriented concept lattices, and gives equivalent conditions for each kind of attribute characteristics. Finally, the paper shows that there are the same attribute characteristics for both object oriented concept lattices and property oriented concept lattices, so, study each one of them can obtain the other’s information.